The airport is located in the town of La Tebaida, 15 kilometers southwest of the city of Armenia, Quindio department capital. There are taxi services connecting the airport with Armenia. 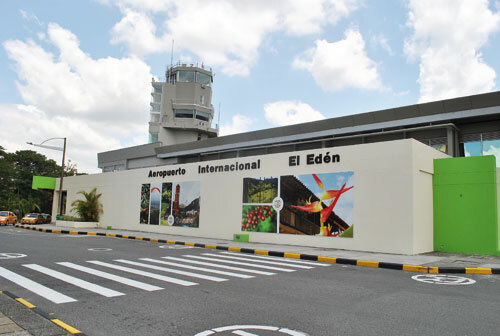 This airport has international flights to and from Aruba and Fort Lauderdale (U.S.).